The Ultimate in Customer Satisfaction | ASTRALCOM - Content Strategy, Conversion Marketing and Customer Acquisition. The Ultimate in Customer Satisfaction | ASTRALCOM – Content Strategy, Conversion Marketing and Customer Acquisition. Join our family of hundreds of happy clients. 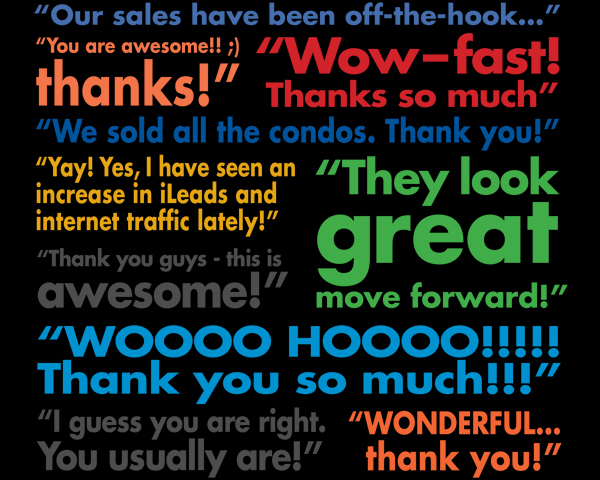 See what folks just like you are saying about working with the pros at ASTRALCOM, in our Rave Reviews section. Or contact us for an honest chat about your goals and objectives.